To download our Treatment Menu please click here. Full Body Spray, choose from.. Including: Brides & Bridal Parties, Formals, Photographic, Special Occasions. For an additional cost, we can also arrange to travel to you if that’s more convenient. Having our bridal work featured in Cosmo Bride Magazine Spring 2013 and on Australia’s Got Talent in 2012 was one of our proudest moments to date. Rest assured you are in good hands with passionate makeup artists who have been trained by Napoleon, Bodyography & Mask Makeup Academy. Eyelash Extensions – Look Gorgeous and stand out with lash extensions! Get a completely natural look of longer, thicker lashes with gorgeous eyelash extensions. Whether you want a subtle, natural look or a bold, dramatic statement, the choice is yours. You will be amazed at the transfermation.Natural lash giving a subtle, natural enhancement to the eyes.Natural plush lash giving a more vivid sharper enchancement to the eyes great for bordering and accentution of the eyes. As your own lashes naturally fall out. your eyelash extensions will need replacing ideally this is done every 3 to 4 weeks depending on your lashes. Mini Facial – A personalised mini-facial, this is a fantastic taste of the Bioline facial range. Great for those on-the-go and fully customised for your individual needs. Perfect Eyes – This beautiful revitalizing eye treatment is recommended for all skin types. It is ideal for puffiness, dark circles & fine lines around the eye contour area. The exclusive synergy between plant stem cells, caviar, retinol & nanostructures reactivate the vital processes of the skin & enhance the most precious features of the face. *SKINCARE IS FOR ALL and while men’s skin is approximately 15% thicker than women’s, it still needs to be cared for correctly to ward away damage from environmental factors like pollution and harsh weather. We will start your treatment with a deep cleanse, followed by a smoothing exfoliation, steam & extractions. We’ll also help to release tension with a shoulder & scalp massage & a customized treatment mask. A beautifully hydrating treatment, designed to increase the skin’s ability to create water reserves and protect skin cells against processes that lead to dehydration, keeping skin tissues fresh. This treatment provides instant comfort for the skin, leaving it nourished, soft & instantly radiant. Working to turn back signs of time, this treatment protects the lipid content and firmness of the skin, ensuring constant nourishment and protection. Aiding to lessen wrinkles, skin is immediately revitalized & nourished with more visible suppleness, tone & elasticity. Leave Insignia feeling younger, fresh & nourished!! Includes facial & décolletage massage. The Purifying professional treatment has been specifically developed for impure skin, which has a tendency to develop acne – dry or oily. Purifying controls the sebaceous secretion, leaving the skin fresh & hydrated, preventing & reducing excess sebum, shiny skin & dilated pores. The results are reduced pores, blemishes & sebaceous effect leaving skin fresh with its natural matt effect. With its softening and restoring properties Sweet Relief provides comfort and freshness to the skin, increasing its resistance and tolerance against external aggressions. Let us calm and sooth your skin. Skin: Dry, dehydrated, atonic and slack skin. A super-deluxe treatment providing multidirectional tightening, filling & lifting effects from our collagen infused mask. The treatment enhances the beauty of the face by defining the profile of the face & neck, firming the skin & providing deep moisturisation. The result is a lifted effect, a reshaped facial contour leaving the skin radiant, toned & moisturised. This is the ultimate facial which will leave you seeing a noticeable difference in your skin. Perfect for an up and coming special event. Skin: Indicated for all skin types especially for dull, prematurely aged skin with wrinkles and age spots. An enlivening treatment leaves skin smoother, youthful & more luminous. Utilising nanostructures and new generation AHA’s & PHA’s, this deluxe treatment provides a cosmetic action leaving the skin more supple, clear and blemish free. The result is long lasting, luminous bright skin. 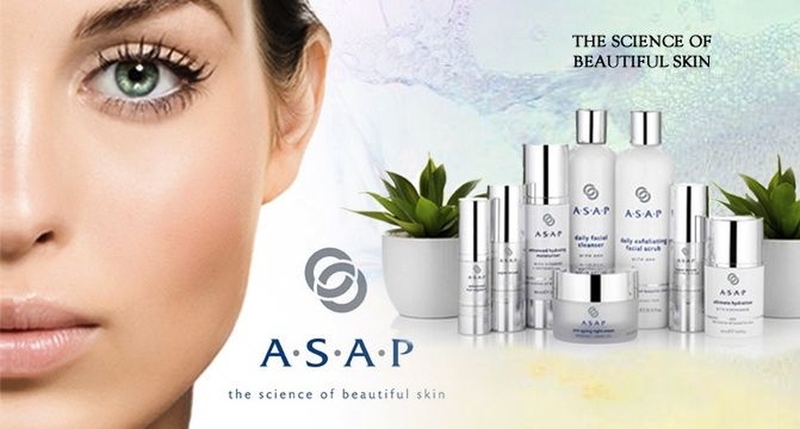 Today ASAP is the leading cosmeceutical skin care company in Australia. ASAP uses active ingredients, AHAs & vitamins, distinguishing itself from other skin care cmpanies in its determination to keep the process simple, effective & affordable. ASAP is manufactured in Australia by a doctor, using environmentally friendly ingredients, ASAP is 100% paraban free, SLS, SLES free & is not tested on animals. Using active ingredients & antioxidents this revitalising treatment, ideal for mature skin, promotes cell turnover, stimulates collagen & reduces pigmentation. Microdermabrasion is a non-surgical, safe & gentle procedure that deeply exfoliates & polishes the skin to stimulate new cell growth. Using a gentle vaccuming system & diamond tips, Microdermabrasion removes dead skin cells and unclogs pores. 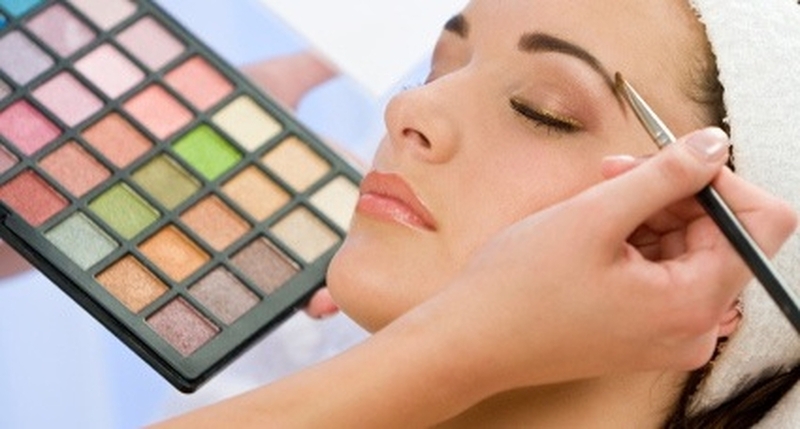 Enjoy the benefits of a professional skin care treatment using clinical grade equipment. See instant results & leave with beauitful, healthy & radiant skin. Including AHA/BHA treatment and sonophoresis- a non-invasive treatment that uses ultrasonic technology to ensure the maximum absorption of active ingredients into the skin. Insignia Hair and Day Spa are now offering ASAP non-invasive peels. Our peels revitalise & rejuvenate the skin the skin with minimal down time. What is a skin peel? A skin peel is a formulated product that is applied to the skin during your treatment. A peel works by exfoliating the skin and removing the outermost layer of the skin. This Peel is for anyone with suitable skin for the treatment. Ideally this treatment is for anyone concerned with fine lines, wrinkles, uneven skin tone, irregular texture, hyper pigmentation, acne, dull and sallow skin and overall general health of the skin. Improves general health of the skin. Improves the texture of the skin and stimulates collage renewal. Promotes hydration for firmer, smoother skin. Reduces the appearance of fine lines and wrinkles. The GP40 is ideal for clients who have never had a peel before. This peel will renew and hydrate the skin leaving it feeling clean and fresh. The Lactic skin peel is ideal for skins that are dry, mature & sensitive and in desperate need of a hydration boost. The reveal peel is ideal for skin with UV damage, mild skin pigmentation, fine lines and wrinkles. Beautiful nails always makes the world of difference to your confidence. Starting with soaking the cuticles, removing existing polish, cuticle work, shaping, buffing & filing of the nail, finishing with a relaxing hand massage and polish. Soft smooth beautiful hands is only an hour way. This treatment includes everything from our mnicure with an added luxury of a paraffin wax treatment. Paraffin wax has a warm consistency and is deeply nourishing on your hands. Wax treatments are considered helpful in reducing the pain and stiffness associated with osteoarthritis, injuries and inflammation. Results- soft beautfiul hands. Finish with your choice of polish. This is for feet in need of a pick-me-up & includes spa therapy, shaping, cuticle work, exfoliation, hydrating foot balm, buff and polish. Perfect for a lunch break pamper. This is for feet in need of a little extra TLC. Starting with a relaxing foot spa to cleanse & relax the feet. We then concentrate on the heels & soles of the feet, with the option of either a nourishing peppermint foot mask, to hydrate, soothe & invigorate tired feet as well as helping to reduce fluid retention, OR a callus AHA treatment that targets dry, cracked and thickened heels removing dead skin. Both masks are followed by an invigorating foot massage. Includes, toe nail shaping, cuticle work, exfoliation, buffing & polish. The ultimate beauty treat for your feet. 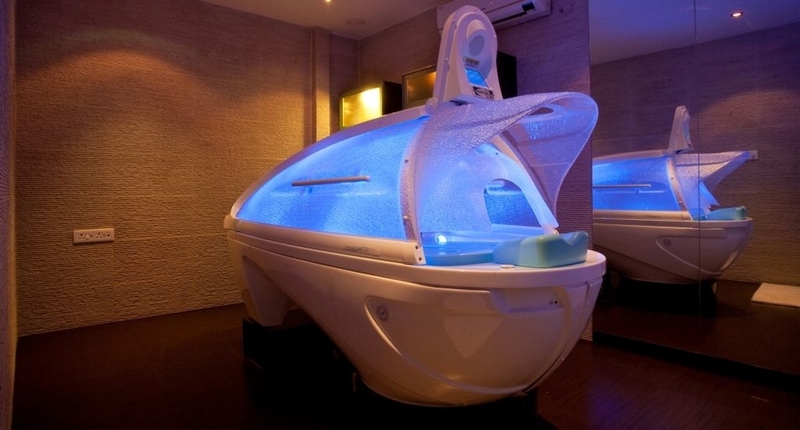 Relax and detox the body & mind in our state of the art multi sensory spa capsule. Customized programs to suit your individual needs & concerns, high heat sessions, steam infusion, vichy shower. Benefits include detoxing, slimming, cellulite reduction, relieving aches & pains and much more…. Designed to deep cleanse and rid the back of impurities whilst de-stressing the muscles and relaxing the mind. A cleansing & exfoliation treatment is followed by steam, extractions and completed with a wellness massage to purify the skin. Revive your spirit and smooth away dulling skin cells with this ultra smoothing treatment. Restoring vital nutrients whilst helping to smooth tired skin, relax stressed muscles and soothe the senses. Complete with a luxurious vichy shower & Nourishing body cream. Focusing on your particular area of concern, this slimming wrap encourages the breakdown process & elimination of fats & cellulite. A deeply toning and firming wrap is applied to your focus area. You will experience our hydrotherapy steam infusion to help eliminate toxins and excess fluid. Finish with a vichy shower & a nourishing body butter massage ensuring ultimate serenity and results. Tailored for your specific needs, whether it be for hydration, relaxation, detoxing, toning or fluid retention. There’s something to suit everyone. Starting with an exfoliation to remove dulling skin cells & improve circulation, moving to an active thermal body wrap, complete with steam infusion, vichy shower and wellness massage. Feel amazing…. I always look forward to seeing your new packs you put out on special occasions! Such great value for money and so relaxing!! I love being pampered and the girls here do an amazing job. You have fanastic products and the girls have great knowledge and advice. I leave feeling absolutely fantastic no matter what I have had done. Whether your buying a package for yourself or a partner, friend or work collegue you wont be disappointed. Great and friendly service. Hair looks great every time I go there. Extremely professional and always leave very relaxed and feeling great...thanks girls! Awesome service, with a smile every time!! I always get the works done and so I'm there for a long time. The girls make you feel comfortable and welcome every minute you are there. Everything I want in my hairstyle Simone achieves and more. I had gift voucher given to me and I had the works done here and I LOOOOVVVEEEDDD IT!!!! everything was exceptional. Great customer service! They have a lot of staff there I had a massage and facial from Marianne, soooo relaxing in a nice warm heated bed, I loved it. Then I had my hair done by Alana it was the first time in a long time i have left a salon happy with my hair. Definitely recommend these girls. Finally found a great hairdressing salon in Penrith. Amanda and Emma usually tend to my hair but I have heard from many of my family and friends that now go there, that all the girls are great. My sister in law comes from Ashfield just to have her hair done. They are quick and listen to what you want. I have never had a hair cut or colour that I haven't been happy with. By the way they also do an awesome cuppa! I have started going to see Emma in the last 12 months, and I have been very happy with her professional and friendly approach. She has recently cut my hair and changed my regular style. Her consultation was so good, she gave advice and referred to the photo, commenting on how the style would work with my hair. For the first time I got exactly the hair cut I wanted first time around and I don't feel that I need to tweak it or change it in any way. Emma was professional, friendly and very helpful. I can't say enough good things about Sue Mitchell. Sue focuses on my areas where I really have problems and has worked them out. She's found areas where I never even knew I had a problem but my body is telling me she's right. If you want not just a relaxing massage but also to feel like you've gained a true improvement to your health, this is where you want to go. It's always a great day when I have my hair done at Insignia. Simone is down to earth, experienced and always does my hair exactly they way I like it done. Well worth the time and money. Insignia Hair & Day Spa will always be the best!! This is one place where they truly look after you. The girls are so gorgeous always so welcoming. There is always a lovely atmosphere, relaxed and friendly. (thanks for the coffee girls!!) You always help me choose the right styles to keep my hair looking its best. I love the way they always remember my birthday too, thank you for my special voucher. Keep up the fantastic work girls you are the best! !